Cinderella Chef and Oh My Emperor are probably the two main dramas competing in the space of cute time-travel comedies right now. I've only managed to catch a few episodes of each, but I must admit that both are a breezy watch. Personally, I'm liking Cinderella Chef a little more. For a drama where the heroine time travels to ancient times, it's fun to see the two stars of the show crossing over to the modern day. Bie Thassapak Hsu: I find her very beautiful. Zhong Dan Ni: I find him very handsome. 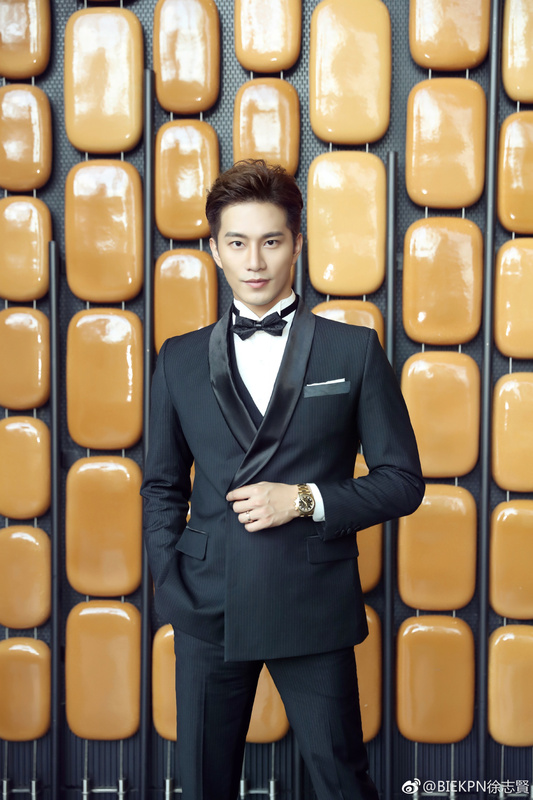 Bie Thessapak Hsu and Zhong Danni attended the 24th Shanghai Television Festival in matching black outfits with him looking like a dashing debonair and her rocking the glammy dress pants and a playful pixie. The two spared no time complimenting each other on social media. He calls her very beautiful and she says he's very handsome. Me: You both are. Viki just liscensed Cinderella Chef, so all episodes of the drama will be completely subbed. She rocks those hair and the dress is pretty awesome to match it. Her outfit is stunning and I like the coordination between the accessories and the shoes. I'm curious about his name "Thessapak"